REI Adventures Top Guides - Seven international experts from Costa Rica, Czech Republic, Iceland, Nepal, Peru and the United States who represent some of the company’s most incredible destinations. "Our guides are remarkable in many ways – for establishing trusted relationships with every guest to bringing a region’s cultural and natural history colorfully to life before one’s eyes,” says Cynthia Dunbar, general manager of REI Adventures. 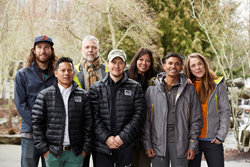 REI Adventures, the active travel company that is part of national outdoor co-op REI, has announced its “Top Guides” awards, an annual recognition honoring the best of the best. Seven international experts from Costa Rica, Czech Republic, Iceland, Nepal, Peru and the United States who represent some of the travel company’s most incredible destinations were named. REI Adventures’ Top Guides are determined from independent customer reviews, which are available on the travel company’s website. The travel leader also gives significant consideration to guides who best represent REI’s values and brand, and partner with the co-op to strengthen the company’s travel offerings around the world. In addition to the wide range of responsibilities an REI Adventures guide has in the field, they limit the environmental impact of each trip. This includes using Leave No Trace principles and wherever possible utilizing reusable or recyclable materials. Award-winning REI Adventures has been a global leader in worldwide guided active adventure trips since 1987. As the travel business for national specialty outdoor retailer REI, the company offers unique itineraries focused on sustainable, human-powered outdoor adventure, including hiking, biking, kayaking, climbing and more. Guests experience iconic destinations as guides take them off the “beaten path,” and provide opportunities to explore a destination, get to know the local people, their culture, the flora and fauna and discover things they would not be able to duplicate on their own or with another travel company. REI members receive a special discount price on most trips. For more information, full itineraries and trip reviews provided by guests, visit http://www.rei.com/adventures.